I have never read a book about Titans but have heard so many positive reviews about it and I am looking forward now to read this book once. I'm quite sorry for a no response. I didn't receive a notice that there was any type of response. Please accept my apology. 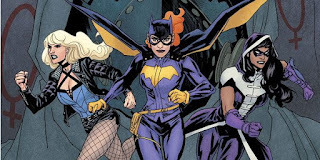 What do you think about the Birds of Prey?